(Natural News) Anyone who has tried snorkeling under the sea can attest to the breathtaking beauty that awaits them. Corals of different colors, shapes, and sizes are everywhere. Fish — striped, silvery, slim, fat, etc. — swim past. It’s an entire universe unto itself. 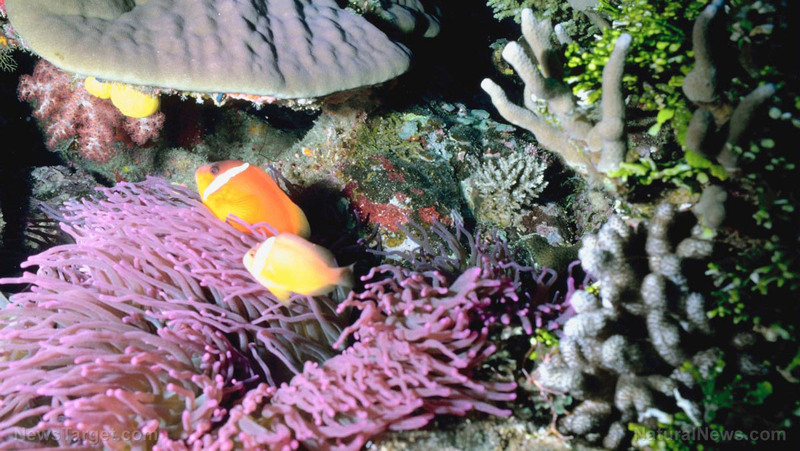 Sadly, this underwater paradise is under extreme threat, no thanks to illegal fishing methods that damage coral reefs. This is what a new University of British Columbia study found out after Ph.D. student Jennifer Selgrath examined changes in the types of fishing methods — hand line, traps, and nets — used on Philippine coral reefs between 1950 and 2010. Selgrath, also a Fulbright Scholar, interviewed almost 400 men who fish in the Danajon Bank Ecosystem about their fishing practices from 1950 to 2010, or a span of 60 years. She spent a year in The Danajon Bank, a coral reef found in Central Visayas, Philippines. Selgrath found that around a quarter of the fishermen in the area used destructive methods like explosives and poison, which the Philippine government declared as illegal as far back as 1932. The government outlawed most other destructive fishing methods in 1998. Despite this, fishermen still resort to illegal methods like using crowbars to pry corals apart in an attempt to catch valuable but elusive marine life like the abalone. This made Selgrath stress the importance of not letting damaging fishing practices become the norm in the area. She observed that once people started using destructive fishing methods, they persist in doing what’s familiar to them, even after they have became illegal. She added that this makes it more important to ensure that young fishers use sustainable methods and for older fishermen to abandon their destructive methods. Selgrath thinks that the ocean could be better protected if the Philippines implemented better fishing laws on sustainability. Saving water — The less you use, the less chances runoff and wastewater will pollute the oceans. Reducing pollution — Leave the car at home. Walk, bike, or ride the bus or train. Fossil fuel emissions from motor vehicles lead to ocean warming which causes mass-bleaching of corals and massive destruction of reefs. Throwing trash properly — Never leave unwanted fishing lines or nets in the water or by the beach. Litter pollutes the water and can destroy the reef and the fish. Planting a tree — They reduce runoff into the oceans. Trees also fight global warming and rising ocean temperatures that kill marine life. The coral reef you help save today may be the marine life your children will benefit from tomorrow. Early action is the key to saving this precious resource that protects many of the things we will need for a sustainable future. Read Ecology.news for more coverage of news headlines about protecting ecological systems.